Michael Cohen Pleads Guilty to Making a False Statement to Congress. Michael Cohen, President Donald Trump’s former personal lawyer, pleaded guilty to making a false statement to Congress. Cohen admitted in court to making the false statements about the “Moscow Project.” The “Moscow Project” refers to the Trump Organization’s endeavor to acquire branded property in Russia. Cohen said he was dishonest to “be consistent with Individual 1’s messaging and to be loyal to Individual 1.” From court document descriptions, Individual 1 is believed to be President Trump. Despite formerly stating that he would “take a bullet” for Trump, Cohen has distanced himself from the president. He now plans to “put family and country first.” Trump called Cohen “weak” and a “liar” in the wake of this plea. Cohen is expected to become a key public witness in the case against President Trump. Cohen was only charged with one count of making a false statement, for the August letter, but admitted to multiple others from the same testimony. The special counsel is not prosecuting Cohen for the other counts due to the plea deal. 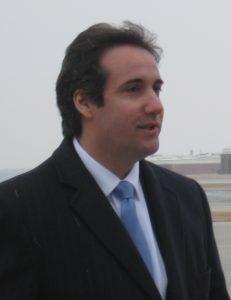 In an effort to deter further investigations, Cohen claimed the “Moscow Project” was never discussed in depth with the rest of the Trump Organization. He also said he did not agree to visit Russia for the project and doesn’t recall contact with the Russian government about this venture. Prosecutors allege Cohen did this to minimize the connection to Individual 1 and create the false idea the venture halted before the Iowa caucus and presidential primaries. Cohen initially stated the venture was only a real estate deal, but ended in January 2016 as it was not a viable business option. Court documents state the project was discussed until June 2016 with references to getting Russian government approval. Cohen did not only consider traveling to Russia, but invited Individual 1 to potentially join him. An unnamed person labeled as Individual 2 discussed talking to Russia and planning the date of a trip there in court documents. There was communication between Individual 2 and the office of the Russian president in January 2016. After over 70 hours of interviews with special counsel Robert Mueller’s team, Cohen continues to cooperate with the investigation. His decision to be explicitly honest creates a potential threat to the presidency. Due to Cohen’s over a decade long career with the Trump Organization, other projects from his time in Trump’s camp could be of interest to Robert Mueller. Currently, Cohen remains free on bond until a sentencing hearing on Dec. 12. For his crimes, he faces a maximum fine of $1 million and a possible 46 to 63-month prison sentence.